VAPS XT-178 provides control and flexibility in the design, testing, and deployment of next generation cockpit displays, while VAPS XT-178 CertKit provides our customer with a clear path toward DO-178B certification. Presagis™, a leading provider of commercial-off-the shelf (COTS) modeling, simulation, and embedded graphics software, announced today that a leading avionics supplier has completed initial test flights of its upgraded rotorcraft containing DO-178B certifiable code and ARINC 661 compliant displays, generated by Presagis VAPS XT-178 HMI software, as well as the VAPS XT-178 ARINC 661 module. Presagis VAPS XT-178 CertKit was used in supporting the certification process. This supplier will join the ranks of other satisfied customers, such as BAE, AgustaWestland, Barco, and Elbit, which have successfully used Presagis software for the certification of their avionics projects. Presagis VAPS XT-178 provided the supplier with an easy-to-use solution, enabling them to reduce the time and resources spent on requirement specification, design, code, and test phases in the development of the new Touch Screen Units (TSU). Enabling the generation of C++ code in a deterministic and automated way, VAPS XT-178 reduces the risk associated with RTCA DO-178B certification, and ARINC 661 compliance, in safety-critical systems in next generation programs. VAPS XT-178 also enabled the user to automatically produce certifiable code, speed development, and reduce risks related to DO-178 standard requirements with the aid of full certification artifacts provided by Presagis VAPS-XT 178 CertKit. In addition, they have developed ARINC 661 compliant displays using Presagis tools that will allow them to further decrease the maintenance, upgrade, and through life costs moving forward, while also benefiting from the ability to rapidly update the graphical display system without the need to re-certify code and reuse development components on further systems associated with upgrades. VAPS XT-178 is the Presagis next generation, COTS software tool for prototyping, developing, and deploying DO-178B certifiable code for safety-critical embedded applications. The software helps reduce the effort required within the software design, coding, and testing phases of the graphics display development lifecycle on avionics projects intended for RTCA DO-178B certification. The end user may also utilize the VAPS XT–178 CertKit, which contains documents and test cases, in order to obtain credit for certification activities as part of the total system certification. VAPS XT ARINC 661 is an add-on module that provides a quick and easy way to specify, design, and deploy any Cockpit Display System (CDS) that requires compliance with the ARINC 661 aviation standard. With VAPS XT ARINC 661, users can define ARINC 661 compliant widgets, compose graphical layouts/pages using ARINC 661 widgets, generate ARINC 661 binary definition files, and code-generate Compliant CDS. Presagis is a global leader providing commercial-off-the-shelf (COTS) modeling, simulation and embedded graphics solutions to the aerospace and defense markets and is the only developer to deliver a unified COTS software portfolio based on open-standards. Presagis combines cutting-edge technology with innovative services to help customers streamline development workflows, reduce project risks, create detailed models and complex simulations, in addition to developing DO-178B certifiable applications. The company services more than 1,000 active customers worldwide, including many of the world's most respected organizations such as Boeing, Lockheed Martin, Airbus, BAE Systems and CAE. For more information, visit presagis.com. © 2012 Presagis Canada Inc. and/or Presagis USA Inc. All rights reserved. 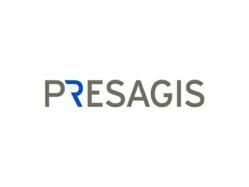 Presagis means Presagis Canada Inc., Presagis USA Inc. and/or Presagis Europe SA. The names of actual companies and products mentioned herein may be the trademarks of their respective owners.